New comic book tale about a Chinese gunslinger searching for his wife in an Old West overrun by magic. 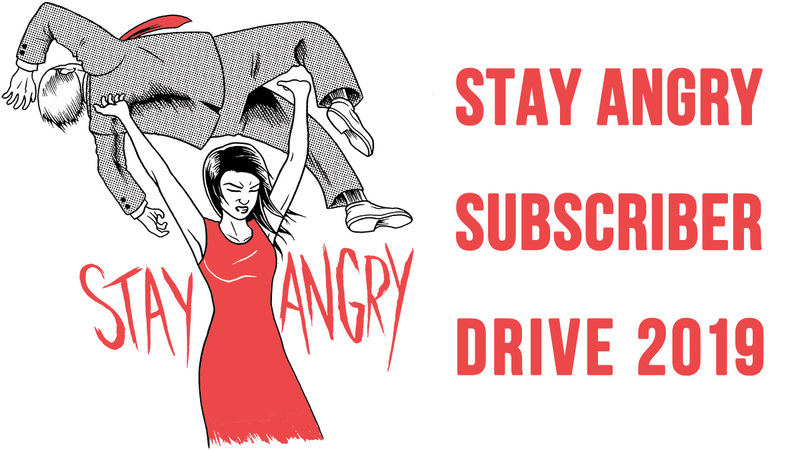 Writer Greg Pak just announced his latest comic book project, and it sounds pretty damn cool. 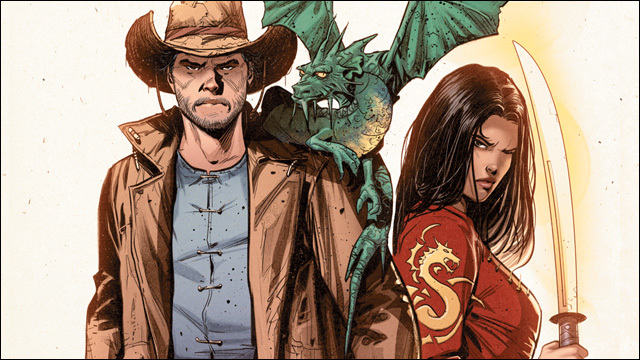 Kingsway West, with artist Mirko Colak and colorist Wil Quintana, puts a genre-blending Asian spin on the Old West. The upcoming ongoing series from Dark Horse Comics tells the story of Kingsway Law, a Chinese gunslinger fresh out of prison, searching for his wife in an Old West overrun by magic. His quest puts him in the path of guns, magic, fantasy elements and good old-fashioned racism. This sounds so dope. Greg's wanted to tell a story with a Chinese gunslinger for over two decades -- I remember him mentioning the idea years ago -- so it's awesome to see him with an opportunity to run with it. There's an idealized version of the West from film, but the reality was a lot dirtier, harder, and with continual social upheaval. What kind of a Wild West does he live in? I grew up as a half-Korean kid in Texas who spent a ton of time in the woods as a Boy Scout, and I've always loved Westerns. That fantasy of an individual making his or her way through a vast frontier just took hold of me from a very young age -- it's probably also behind my early love of "Dungeons and Dragons" and "Lord of the Rings." 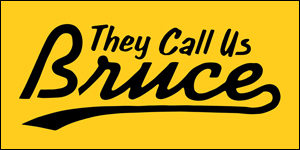 But when it comes to Westerns, I think all the lights really came on when I learned about the diversity of the West -- the Chinese miners and railroad workers, the Buffalo Soldiers, the Native Americans, the vaqueros and Californios. America has always been astoundingly diverse. Much of the actual history of the West is driven by terrible conflicts among those groups, of course. And yet the American Dream I grew up with says we all belong. So the idea of telling diverse stories exploring those kinds of characters and themes in the Old West has been under my skin since childhood. So the Old West of "Kingsway West" reflects all of the social, economic and racial conflicts and tensions of the actual Old West -- but it's also a world in which magic rather than technology drives much of the upheaval. The whole scenario gives us a chance to think about the actual West in a new way -- and maybe imagine entirely new ways for America to be born. And, of course, it's about heroes following their hearts as they make their way through a vast and dangerous frontier. 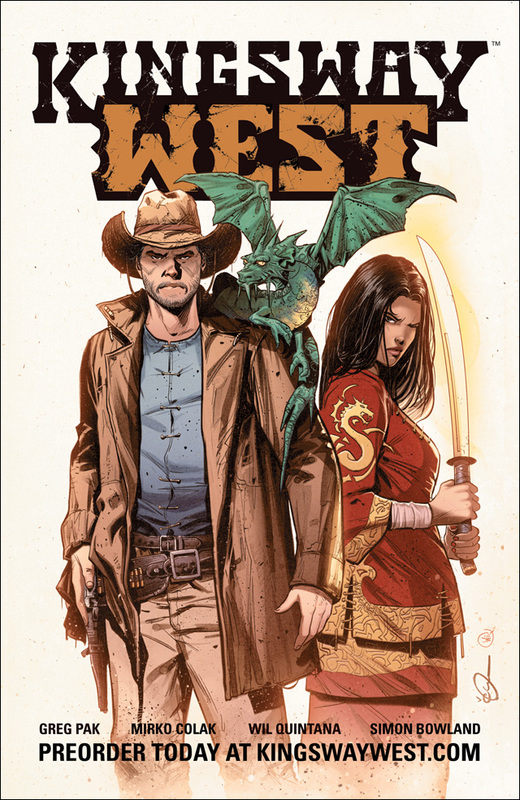 More here: SDCC EXCLUSIVE: Pak Merges Magic with the Old West in "Kingsway West"
The first issue of Kingsway West is due out in November 2015. You can pre-order your copy here and pick it up at your local comics shop and pick it up when the issue is delivered.